The Federal Circuit Court can issue mareva injunctions under s 14 and s 15 of the Federal Circuit Court Act 1999. Mr Vartzokas is an architect. Through his company he agreed to provide architectural services in connection with the development of a 5 storey apartment block in Prospect Rd Adelaide to the developer, Nazero Contructions Pty Ltd. He provided the services and sent in his bill for $48,100. Mr Younan seems to have been the principal of Nazero Constructions and was the person with whom Mr Vartzokas dealt. These drawings are the copyright property of the architect and are not to be reproduced or copied without prior written license of the architect. Needless to say (this is a court case afterall), Mr Vartzokas was not paid his outstanding $23,100. Instead, he was contacted by a Mr Chen on behalf of Yi Hong Pty Ltd, which was about to purchase the Prospect Rd property and wanted to engage Mr Vartzokas to provide further architectural services in relation to it. Mr Chen provided Mr Vartzokas with copies of the working drawings for the property which Mr Chen had obtained from Mr Younan in connection with the proposed purchase and wanted Mr Vartzokas to work on. Mr Vartzokas recognised the drawings as being the ones he had prepared for Mr Younan and Nacero Constructions. Only the authorship was attributed to “JB Archi-Build”! Unbeknownst to Mr Vartzokas, around the time Mr Vartzokas was having trouble extracting his initial payments from Mr Younan, Mr Younan caused a new company, Nazero Group SA Pty Ltd to be incorporated. Nazero Constructions sold the Prospect Rd property to Nacero Group for $1,017,500. Nacero Constructions then changed its name to Zeecat Constructions. When Mr Chen provided the “JB Archi-Build” drawings to Mr Vartzokas, Mr Vartzokas discovered the existence of Nacero Group and that it was in the process of selling the Prospect Rd property to Yi Hong for $1,190,000. Settlement on the contract was due the next day following the hearing. Mr Vartzokas sued seeking a mareva injunction to require the proceeds from the sale (after paying out the bank holding a registered mortgage over the property) be paid into the Federal Circuit Court pending trial of Mr Vartzokas’ copyright infringement claims. I am also satisfied that the applicant has established a prima facie case that there is a real risk of assets being dissipated, if the relief sought is not granted. In my view, the significant evidence in this regard arises as a consequence of the change of name of Nazero Constructions Pty Ltd, which coincided with that entity not honouring the invoices submitted to it by the applicant. This failure to pay its debt, to the applicant, ultimately led to the winding up of the company concerned. More significantly, after the company had been liquidated, Mr Younan incorporated an entity with a similar name and transferred the land at Prospect to it. At the same time, Mr Younan appears to have been intent on developing the land in a similar manner to that which envisaged the intellectual input of Mr Vartzokas, but without either payment or recognition to him. In all these circumstances, I am satisfied that there is a significant risk that, if the injunction sought is not made, the proceeds of sale of the Prospect property will not be available to the applicant to either satisfy any award of damages to which he is entitled or to provide any accounting for the profits made on the sale of the land concerned, which, at least on a prima facie basis, seems to have included his architectural designs to be utilised on the property’s development. His Honour also noted there was no prejudice to third parties as the bank mortgagee would get paid its due before money’s were paid into court. Yes, I know we are supposed to call them an asset preservation order, but really …. ? The usual implied licence can be excluded by an express written term to the contrary: Devefi v Mateffy Perl Nagy ? The (NSW) Court of Appeal has rejected WIN’s argument that its exclusive licence to broadcast Nine Network’s content extended to “live streaming” over the internet. Those of you who have emulated Burke and Wills and wandered out of the CBD of your state’s capital city may have discovered that free-to-air television is (a little bit) different. There are regional broadcasters who arrange at least some local news and advertising, but also carry a lot of the programming of the “big” broadcasters. WIN Corporation is one such regional broadcaster. For many years, it had a “programming supply agreement” through which it took much of the Nine Network’s programming. Thereby bringing the joys of A Current Affair and the Block to those lucky enough to live in a place where WIN was a broadcaster. The Court and the parties all agred that “exclusive” in this context meant that Nine could not license anyone else to broadcast its content in WIN’s territory. Nor could it “broadcast” its content in WIN’S territory itself. The evidence showed that the scope of the grant had been the subject of some negotiation, with Nine contending for a narrow definition and WIN arguing for a broader definition. The trial judge had found this evidence of pre-contactual negotiations did not assist the interpretation exercise. Apart from anything else, it was inconclusive and incomplete. The important point is that a person who has a collection of rights and grants an exclusive licence in respect of only some of those rights does not, through the exclusivity undertaking, promise the grantee not to exercise (or allow others to exercise) the remainder of the rights that is not the subject of the grant. The exclusivity undertaking restricts the grantor only as regards the rights granted. Preclusion of the grantor in relation to the whole or any part of the remainder of the grantor’s rights could come only from some contractual stipulation over and above that which is implied by the exclusive quality of the grant. Where clause 2.1 refers to broadcasting on and in the licence areas covered by the WIN Stations this is, and can only be, a reference to free-to-air. The licence areas are the geographical delimitations imposed on WIN by its licences under the BSA. These licences cover only free-to-air. Unsurprisingly, it is common cause that the WIN Stations have only ever broadcasted free-to-air and under such licences. They are traditional television stations. They do not deliver by internet. Internet delivery is not geographically based in the same way as is free-to-air. Barrett AJA also rejected WIN’s argument that exclusivity over internet streaming followed from the implied term not to do anything that would deprive the other party of the benefit of the contract. WIN argued it was necessary for the exclusivity to extend to internet streaming as the promise of exclusivity meant it was to be free from competition. Judging from the number of people watching TV on the train, tram and buses these days, you might think WIN had something of a point. In the present case, the PSA, according to its correct construction, required Nine to desist from engaging in free-to-air transmission of Nine programs in the WIN licence areas and from enabling persons other than WIN to undertake free-to-air transmission of those programs in those areas. The “benefit” of the contract, from WIN’s perspective, was the right to transmit the Nine programs free-to-air in the WIN areas without free-to-air competition by Nine or anyone to whom Nine had given transmission rights. Extension of the negative stipulation binding on Nine so as to forbid live-streaming would entail a restriction on Nine and a corresponding “benefit” to WIN over and above those created by the contract and, in that way, enlarge rather than support and underwrite WIN’s contracted benefit. The value of the benefit of the contract to WIN was, as in the Queensland case, dependent on many contingencies, some of which were in Nine’s control. But Nine was not obliged to maximise WIN’s return from the contract. At one level, the result is not too surprising. “We” have been generally aware at least from the Optus Now here and here controversies several years back that the major sporting organisations were generating very substantial revenues from internet streaming in addition to the broadcast (pay and/or free-to-air) rights. If you are drafting an exclusive licence relating to the right to communicate to the public, therefore, you will need to pay careful attention to what exactly is intended to be included: the whole right to communicate to the public, broadcasting (in some one or many of its multifarious forms), internet streaming etc. Barrett AJA conveniently collected the well-established propositions at footnote 15: “15. As a matter of general principle, an “exclusive” licence confers relevant rights upon the licensee to the exclusion of the whole world, including the licensor: Carr v Benson (1868) 3 Ch. App. 524 at 532; Reid v Moreland Timber Co Pty Ltd (1946) 73 CLR 1;  HCA 48 at 5 (Latham CJ) and 15 (McTiernan J applying Heap v Hartley (1889) 42 Ch. D. 461). A “sole” licence resembles an “exclusive” licence but does not operate to exclude the grantor: see, for example, Black & Decker Inc v GMCA Pty Ltd (No 2)  FCA 504; (2008) 76 IPR 99 at  (Heerey J).” ? WIN Corporation Pty Ltd -v- Nine Network Australia Pty Limited  NSWSC 523 at  – . ? If you need authority for the proposition that registering a trade mark, or enforcing the rights under the registration, does not necessarily mean you are carrying on business in Australia, Besanko J may help you out. The ACCC sued Nexans SA and others alleging they were engaged in price fixing cartel. Nexans SA is the global parent of the Nexans group. It had registered NEXANS in Australia as a trade mark. It had also licensed the trade mark to Nexans Australia, which was a member of the group, but not a direct subsidiary. …. I do not think the fact that the ultimate holding company of a large worldwide Group, insures all of the directors and officers of the companies comprising the Group means that the ultimate holding company is carrying on business within all the jurisdictions where companies in the Group are operating or is even a reasonably strong indication of that fact. The registration of trade marks in Australia by an overseas company could be an indication that the company is carrying on business in Australia, but, of course, it is only the beginning of the inquiry. The fact is that here there is a licence to Nexans Australia which (depending on the precise circumstances) may be considered to be an authorised user of the registered trade marks under s 8 of the Trade Marks Act. Nor do I think the fact that Nexans SA took action in this Court to protect its rights as owner of the registered trade marks indicates that it was carrying on business within Australia. His Honour then explored other factors which in the end did lead to Nexans SA being held to carry on business in Australia. Ultimately, however, Besanko J did not consider it had engaged in the cartel behaviour, but another company, Prysmian, had. The Full Federal Court has held that the licensor must actually exercise control over the licensee for a trade mark licence to be a valid licence. The decision is part of a long running global battle between WILD TURKEY and WILD GEESE. The WILD TURKEY interests own and use WILD TURKEY around the world for bourbon whiskey; the WILD GEESE interests use, or want to use, WILD GEESE around the world for Irish whiskey. Instead of the usual battle about who was first to file and whether or not WILD TURKEY was confusingly similar to WILD GEESE or vice versa, there was an unusual twist in this fight: WILD TURKEY tried an end run, tacking on to a registration for WILD GEESE WINES. A Mr O’Sullivan QC (and his partners) had established a winery in South Australia under the name WILD GEESE WINES (WGW) in 2000. In due course, WGW set out to register their trade mark. However, the WILD GEESE interests had already registered their trade mark in Australia for whiskey. It was cited against the WGW application and in 2005, WGW brought an application against the WILD GEESE interests’ registration to remove it for non-use. The WILD TURKEY interests had also brought a non-use action against the WILD GEESE interests’ registration. Mr O’Sullivan (and partners) quickly came to the realisation that they did not to become embroiled in the intergalactic war being waged between WILD TURKEY and WILD GEESE whiskey. Instead, in 2007 WGW assigned its trade mark application and the benefit of its non-use application to the WILD TURKEY interests in return for an exclusive licence to use the trade mark in Australia for wine. The non-use applications against the WILD GEESE interests’ trade mark was successful and the (now) WILD TURKEY interests registered the WILD GEESE WINES trade mark for wine and spirits that WGW had assigned to them. In a case of sauce for the goose potentially being sauce also for the turkey, the WILD GEESE interests then brought an application to remove the WGW trade mark for non-use. The WILD TURKEY interests sought to defend that claim on the basis that the use of the trade mark by WGW was authorised use under the Act and so constituted use in the relevant period by the WILD TURKEY interests as registered owner sufficient to defeat the non-use application. As the removal application by the WILD GEESE interests was filed on 27 September 2010, the three year period in which the WILD TURKEY interests had to show use as a trade mark in good faith ran from 27 August 2007 to 27 August 2010. Unfortunately for the WILD TURKEY interests, there were a few wrinkles. WGW produced a merlot under its trade mark in 2004. Due to adverse climate conditions, it did not produce another vintage until 2011. However, wine from the 2004 vintage was for sale (and was sold) in relatively small batches during the non-use period. WGW had to supply samples of their wine to the WILD TURKEY interests if requested to do so. Notwithstanding this, the licence arrangements did not have any practical effect on WGW’s operations and the WILD TURKEY interests never requested samples until after the WILD GEESE interests brought their non-use application. The Registrar upheld the removal application. On appeal, Perram J considered that the Full Court’s decision in Yau Entertainment bound him to find that the possibility of control being exercised was sufficient for a valid licence and so, very reluctantly, allowed WILD TURKEY’s appeal. All five judges considered that Yau Entertainment did not rule that the potential for the exercise of control by the licensor was sufficient for authorised use under the Act. Besanko J gave the leading judgment with which Allsop CJ and Nicholas J agreed. The meaning of “under the control of” in s 8 is informed by the principle stated by Aickin J in Pioneer, that is to say, that the trade mark must indicate a connection in the course of trade with the registered owner. The connection may be slight, such as selection or quality control or control of the user in the sense in which a parent company controls a subsidiary. It is the connection which may be slight. Aickin J was not saying the selection or quality control or financial control which may be slight. I think the principle stated by Aickin J informs the meaning of “under the control of” …. His Honour recognised that this conclusion was different to the conclusion reached under the Trade Marks Act 1994 by the House of Lords in Scandecor. That however was because UK law had taken a different course under the influence of EU law. Similarly, the CJEU’s decision in Ideal-Standard  was directed to a very different issue: exhaustion of rights. Besanko J went on to find that the WILD TURKEY interests did not actually exercise control over WGW’s use of the trade mark. Bearing in mind that it was a question of fact and degree, his Honour considered the most significant factor was that the licence arrangement had no practical effect on how WGW conducted itself. The quality control provision in the Licence Agreement is that the wine be of a sufficient standard to obtain the approval for export of the AWBC. There was no evidence of the precise content of that standard. It was not an exacting standard as the approval rate shows (at  above). The primary judge considered that the standard involved no more than a rejection of what he called truly undrinkable wine (at ). It is plain that the standard had no effect on Mr O’Sullivan’s wine making practices. He was interested in making good to high quality wine. At no time during the relevant period did [WILD TURKEY] contact Mr O’Sullivan about the wine he was making or selling or both. There was never any request by [WILD TURKEY] for samples under cl 3.1 or for the product to be supplied to the Australian Wine Research Institute under cl 3.2. [WILD TURKEY] never asked Mr O’Sullivan for any information about the use of the trade marks or Mr O’Sullivan’s wine making operations generally. There was no monitoring by [WILD TURKEY] and nothing to suggest that [WILD TURKEY] took steps to ascertain whether the terms in cl 3 were being complied with. I do not think s 8(3) was satisfied by the existence of cl 3 in the Licence Agreement. …. These are restrictions but not ones like controls on quality or manufacturing process which might suggest a connection between the registered owner and the use of the trade marks in connection with the provision or dealing with goods in the course of trade. There is no evidence that [WILD TURKEY] monitored or informed itself as to whether WGW was only selling Australian wine in Australia. These requirements do not give rise to control. WGW was not permitted to amend or abbreviate the trade marks or use them in a scandalous fashion. These provisions seem to me to be standard provisions to be expected in a licence agreement for trade marks. There is no evidence of monitoring by [WILD TURKEY] of these provisions and they do not amount to control within s 8. Finally, the provision about standard liability insurance and [WILD TURKEY]’ ability to terminate the Licence Agreement for a material breach is not sufficient to constitute control under s 8 of the Act. Thus, the use by WGW was not authorised use and the registrations for WILD GEESE for wines should be removed for non-use. However, in considering whether or not the registered owner has exercised sufficient control over another person’s use of a mark so as to defeat an attack on the grounds of non-use, it is important to recognise that the boundary between “use” and “use in good faith” by the registered owner cannot be defined by a bright line. This is because the question whether there has been any use by the registered owner may itself depend on whether the control it is said to have exercised was real or genuine control as opposed to something that was merely token or colourable. Allsop CJ agreed with both Besanko J and Nicholas J. Very disappointing class with no highlights. From this class it would appear to be unsuited to the region. No wines showed any varietal character or even just brightness of fruit and character. Perhaps more importantly, there was no evidence that the WILD TURKEY interests had any idea that WGW’s wines had won any medals or whether the wine was of good, bad or indifferent quality. Greenwood J also concurred in the result, but was not prepared to condemn the licensing arrangements between the WILD TURKEY interests and WGW in the strong terms used by the trial judge. So, if you are acting for a trade mark licensor, make sure that it actually exercises control over its licensee(s). And, at least when the control relied on is quality control, make sure the control goes to the quality of the goods or services provided under the licence. The use won’t be authorised use otherwise. In that case, the licensor won’t be able to rely on it to defeat a non-use application as in this case. Even if that is not a risk, there will also be the danger that use which is not authorised use may render the trade mark deceptive and liable to cancellation. IHT Internationale Heitztechnik GmbH & Anor v Ideal-Standard GmbH & Anor  1 ECR 2789. ? In the year ending 30 June 2010, only 40 wines out of 18,019 wines tested ultimately failed to receive export approval, and the figure in the following year was 43 wines out of 14,569 wines tested. ? Referring to Heydon J at  in Gallo. ? The Full Court has partially allowed Tamawood’s appeal, and denied Habitare’s appeal from Collier J’s findings about copyright infringement. Tamawood designs and builds homes; Habitare is (or was) a developer. Habitare arranged for Tamawood to design some houses for a development it was working on. The plans were submitted to the local authority for, and received, planning approval. Tamawood and Habitare were unable to agree the basis on which they would go forward. Habitare decided to get Mondo Architects to draw up the building plans to carry the project forward and used Bloomer to build the houses. At first instance, Collier J found some of Mondo’s plans infringed, but others did not. On appeal, the Full Court upheld Collier J’s ruling that Habitare’s licence to use the plans with planning approval terminated when Habitare decided not to proceed with Tamawood. This was because the basis of the licence was that Tamawood would not charge for preparing the drawings on the understanding it would build the houses. Use (ie., reproduction) of the plans outside those terms was unlicensed. Two points of interest here. First, the Full Court was unanimous in holding that Collier J had erred by ascertaining whether Mondo Duplex 1 sufficiently resembled Stad 939 Conondale/Dunkeld and then considering whether or not there had been copying. The question of copying needs to be resolved first although, in doing so, the degree of resemblance may lead to an inference of copying. The footprints of the duplexes are identical but for the addition of the patio at the rear of the Mondo Duplex 1 plans. The internal and other external differences all result from two changes – swapping the position of bedroom 1 with bedroom 2 and swapping the position of bedroom 3 with the living/entry space. All changes appear consequential on these two basic changes in location. The changes, however, are minor, in the sense that the overall relationship between the internal spaces and the exterior remain the same. …. Greenwood J dissented on this point at  – , considering that the layout and traffic flows, shapes and proportions and relationships of the rooms and other spaces were sufficiently different. His Honour considered that the common placement of Beds 1 and 2 and associated wet areas along the external walls of the duplex rather than the party wall was rational and for obvious reason. Otherwise, the Full Court affirmed her Honour’s ruling at first instance. The Full Federal Court has allowed the Commissioner of Taxation’s appeal from Pagone J’s ruling allowing SPI Powernet a deduction for the value of its copyright in the plans, drawings and manuals for its electricity power generation network. SPI Powernet bought the assets of the Victorian electricity power generation and transmission line system when the Kennett government privatised the State Electricity Commission in 1997. It paid $2.5 billion. The assets included the intellectual property rights which included the copyright in some 100,000 drawings and plans which were critical to the operation and maintenance of the business and various manuals and software. SPI Powernet sought to apportion the purchase price among the various asset classes and, in the case of the copyright, claimed depreciation in respect of a “unit of industrial property”. The Commissioner assessed the value of the copyright at “nil”. Pagone J allowed SPI Powernet’s appeal, finding that the value of the copyright was in the order of $171 million using the replacement cost methodology. The Full Court’s decision involves a number of procedural issues as well as substantive questions including the extent to which the Commissioner’s methodology could be challenged and his Honour’s exclusion of the expert’s written reports at first instance. The Full Court were agreed that the valuation exercise undertaken by the experts was misdirected. The question was what part of the purchase price should be attributed to the copyright, not what was the market value of the copyright. That caused two problems for the SPI Powernet parties. One problem was the form of the purchase price: by specifying that it was a fixed price regardless of the value of the component assets, it meant that no cost could be attributed to a particular component. If you are drafting a sale agreement and including intellectual property rights in the assets and not apportioning the purchase price, be careful. …. Let it be assumed that SPI PowerNet had not acquired the copyright subsisting in the 105,410 documents. Could it be reasonably inferred in such a case, having regard to the terms of the Agreement under which SPI PowerNet acquired all of the relevant assets necessary to conduct the electricity transmission undertaking, that Power Net Victoria (the Victorian government owned corporation which formerly owned the copyright in the documents), would have been the source of an implied licence in favour of SPI PowerNet to use all of the documents in connection with that undertaking in a way which included exercising any and all rights falling within the rights comprised in the copyright? The answer to that question seems plainly enough yes, in which event any exercise of any of the rights subsisting in the copyright would have occurred with the licence of the owner of the copyright. Fourth, in those circumstances, it is not necessary to undertake a timebased analysis of the value of work which would have been necessary to recreate the 105,410 documents in a way which could have expressed the information contained in those documents in a noninfringing form. Such a valuation exercise does not aid or inform the statutory task under s 124R(5). I respectfully disagree with the finding of the primary judge at  that had the copyright not been acquired, SPI PowerNet would have had to create the field of documents in which copyright subsisted in a way which conveyed the same information but in a noninfringing way to enable the business to function. If an actual acquisition by SPANT of all of SPI PowerNet’s assets as at 19 October 2005 had not included the copyright, there can be no doubt that by reason of the notion of “necessity”, as explained by McHugh and Gummow JJ in [Byrne v Australian Airlines Limited][byrne] (1995) 185 CLR 410 at 450, SPANT would have enjoyed an implied licence to copy and modify the drawings and documents in any event: see Copyright Agency Limited v State of New South Wales  HCA 35; (2008) 233 CLR 279 at 305–306  per Gleeson CJ, Gummow, Heydon, Crennan and Kiefel JJ, and the other cases there cited (also ,  and the cases cited); see too Acohs Pty Ltd v Ucorp Pty Ltd and Anor  FCAFC 16; (2012) 201 FCR 173 at . The case before the courts was actually 2 cases: 1 concerning SPI Powernet’s claim for the depreciation; the second by its parent when the parent adopted consolidated group accounts including SPI Powernet. ? The valuation experts agreed there were three accepted methods to value the copyright: an income approach, a market value approach and a cost approach. Because there was nothing income generated from exploiting the copyright nor a market for the copyright, SPI Powernet’s experts applied the “replacement cost” method – what it would cost in time and effort to recreate the drawings etc. from scratch. See e.g. Pagone J at . ? The latter of which led to the Full Court quashing his Honour’s decision on that part of the case and remitting it for reconsideration by Pagone J on the basis at  and  that the exclusion of the written reports meant it was impossible for the Full Court to evaluate his Honour’s reasons for accepting the views of SPI Powernet’s experts over the Commssioner’s expert on what all parties considered the fundamental issuel ? Although it rejected the primary judge’s interpretation of s145 of the Patents Act 1990, the Full Court has nonetheless dismissed Regency’s appeal seeking to terminate its licence of MPEG patents. In 2009, Regency took a licence of a bundle of patents from the MPEG patent pool so that it could make, amongst other things, DVD and Blu-Ray players. All the patents were necessary to make MPEG–2 compliant equipment, but they related to different inventions. By July 2012, some of the patents, but not all, had expired. Regency sought to terminate the licence early, relying on s145. (1) A contract relating to the lease of, or a licence to exploit, a patented invention may be terminated by either party, on giving 3 months’ notice in writing to the other party, at any time after the patent, or all the patents, by which the invention was protected at the time the contract was made, have ceased to be in force. (2) Subsection (1) applies despite anything to the contrary in that contract or in any other contract. The Full Court agreed with Regency that the trial judge`s interpretation of,s145 was wrong but, even so, the right to terminate the licence under s145 did not accrue until all the patents licensed at the time the licence was granted had expired. As there were patents still on foot, therefore, Regency did not have the right under s145 to terminate. The Full Court considered that the reference to “a patented invention”, an expression not defined in the Patents Act was simply a reference to an invention that was patented, rather than something which was patentable subject matter. 30 … if MPEG were entitled to terminate the licence when one of the patents or all of the patents for one of the inventions had expired, Regency would be in the position that, having implemented the Standard, it would be required to cease exploitation of the outstanding patents or negotiate a fresh licence. 31 The primary judge recognised the lack of commercial reality and potential unfairness in such circumstances and so do we. It would lead to the absurd result that parties wishing to negotiate for a patent pool would necessarily have to enter into multiple contracts or face the uncertainties and possible damage caused upon the expiry of a single patent of that patent pool. This would be of particular difficulty for a licensee which had “tooled up”, or entered into financial obligations on the faith of the right to exploit the necessary patent, and could also affect third party end users of a product. Regency points to commercial and policy reasons why a licensee should not continue to pay royalties where an invention the subject of the licence is no longer the subject of a subsisting patent. However, this possible disadvantage to a licensee can be taken into account during negotiations for a contract. Regency negotiated a licence fee that included patents now expired but must be taken to have been aware of the expiry of patents during the term of the Contract when it negotiated that fee. This is supported by the fact that the October 2009 amendment to the Contract provided for royalty rates, those rates decreasing over specified periods of time in recognition of the ever approaching end to each of the patents (as observed by the primary judge at ). While this case did not explicitly turn on questions of misuse of market power, that analysis does not bode well for the ACCC`s pending antitrust action against Pfizer. Nicholas J delivered a concurring judgment. Section 145 provides the licensee of a patent with a statutory right to terminate the licence on 3 months’ written notice after the patent has expired. What happens, however, if more than one patent has been licensed? MPEG LA is the patent pool vehicle which licenses the essential patents for the production of DVDs, DVD players and some other video codecs. It granted a licence of a number of patents to Regency Media. In June 2012, after some, but not all, of the patents had expired, Regency Media sent a notice seeking to exercise its right to terminate under s 145. By the trial, some other patents had expired, but some of those licensed were still extant. The short answer: according to Flick J it appears the licensee has to wait until all the licensed patents have expired before the licensee can exercise the right under s 145.
each of which groups constituted a patented invention for the purposes of s 145 and so s 145 could not be triggered until all had expired. A court, should be slow to prefer a construction which would permit the termination of an agreement in respect to patents which have not ceased to be in force and which would deny to a patent holder the benefit of the payment of royalties in amounts that have been the subject of agreement. Section 145 manifestly does not permit a contract to be terminated where “all of the patents, by which the invention [is] protected” have not ceased to be in force. A modern day American antitrust miracle: the official version; Wikipedia’s version. ? 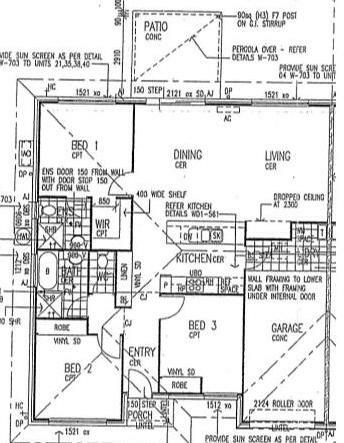 Some 5 years after it went hunting, Tamawood has successfully sued Habitare (now with administrators and receivers and managers appointed) for infringing copyright in house plans. Copyright in some plans was infringed (Torrington v Duplex 1 & Duplex B); but not in others (Conondale / Dunkeld v Duplex 2 & Duplex A). One point of interest: Habitare commissioned Tamawood to develop plans for 2 new houses for it. These plans were submitted to the Brisbane City Council to obtain development approvals. The relationship with Tamawood broke down, however, and Habitare continued to use the plans. Collier J found that the “usual” (i.e. Beck v Montana) implied licence did not apply here. It did not apply because Tamawood did not get paid the “usual” fee for doing the job: rather, it agreed to prepare the drawings at no cost on the basis that it would build the houses once development approval had been obtained. Once the deal fell through and Habitare decided not to proceed with Tamawood as the builder, therefore, its rights to use the plans terminated. 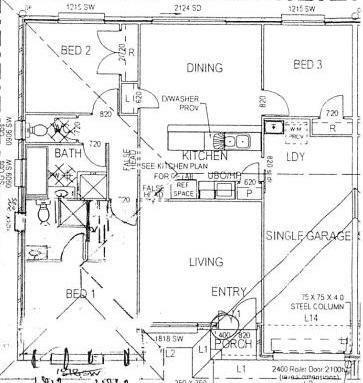 Continuing with the licensing theme, Mondo (which Habitare eventually used to design the houses in dispute) did infringe copyright by creating the infringing plans Duplex 1 and Duplex B plans. It did not infringe Tamawood’s copyright, however, when it downloaded the Torrington plans from Tamawood’s website. Tamawood made the plans available on its website for the whole world to see and download so Collier J considered Mondo’s purpose in using the downloaded plans to design competing houses was not relevant. A second point of interest is that the builder of Habitare’s infringing houses, Bloomer Constructions, successfully made out the “innocent infringer” defence provided by s 115(3). Cases where this defence has been relied on successfully are as rare as the proverbial hen’s teeth. It seems to have been because the builder became involved very late in the day: it had no knowledge of Tamawood’s involvement in the earlier stages and the plans it was provided with had Mondo’s name or title block. Finally, a curiosity: the reasoning on authorisation liability manages not to refer to Roadshow v iiNet at all, but refers extensively to University of NSW v Moorhouse. In the event, Habitare apparently conceded it would be liable for authorising the infringements of the others. Two of its principal officers, Mr Peter O’Mara and a David Johnson, managed to escape liability, however. While they were heavily involved in the business, their involvement was mainly on the finance side rather than sales and marketing. Collier J seems to have found that, within Habitare, responsibility for the conduct that infringed had devolved on to 2 other officers, Shane O’Mara – Peter O’Mara’s son – and a Mr Speer. Her Honour also considered that, by engaging Mondo as architects, Peter O’Mara and Johnson took “reasonable steps to prevent or avoid the doing of the infringing act”. Yes, it is that Tamawood. ? See _e.g. Concrete Constructions_ at  –  per Kirby and Crennan JJ). ? There is no discussion in the judgment of whether Tamawood’s website included a notice purporting to limit the use of the site, for example, to “personal use” or “private and non-commercial use” (whatever either of those may mean) or in any other way. ? See s 36(1A)(c). No claim for authorisation or procurement appears to have been pursued against Shane O’Mara or Speer. ?